Kochi: The DMRC (Delhi Metro Rail Corporation) is hopeful of completing the civil works till Thykoodam by June 2019. The track-laying works are on full swing. Likewise, the works of stations, including that of the wing bridges, are also progressing. Currently, the Metro rail conducts services on the 18-km stretch between Aluva and Maharaja’s College Stadium. There are a total of 16 stations at present. The total number of stations will be 21, by extending the service up to Thykoodam. The total distance covered after this extensions will be 23.75 km. The remaining 1 kilometre stretch up to Petta will be completed in another year. The KMRL (Kochi Metro Rail Ltd) will also launch the Phase-I (A) extension from Petta to Tripunithura Railway Terminal via SN Junction at a total length of 2 km this year. The KMRL will launch the tenders for Petta-SN Junction-Tripunithura stretch soon. Sources said that the date for launching the commercial operations up to Thykoodam will be decided after consulting the state government. 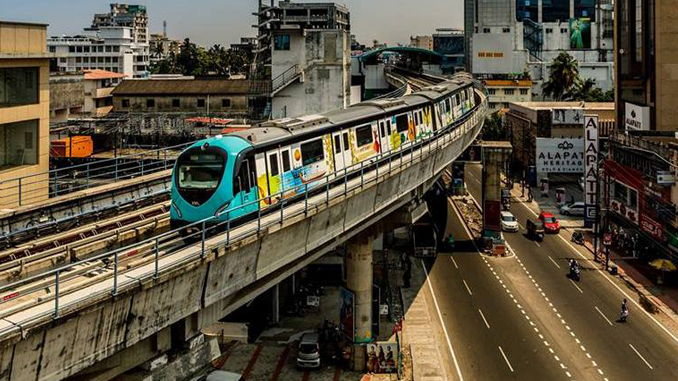 Rail Analysis insights: The KMRL (Kochi Metro Rail Ltd) will also launch the Phase-I (A) extension from Petta to Tripunithura Railway Terminal via SN Junction at a total length of 2 km this year.